Having trouble meditating? Not sure if you are doing it right? 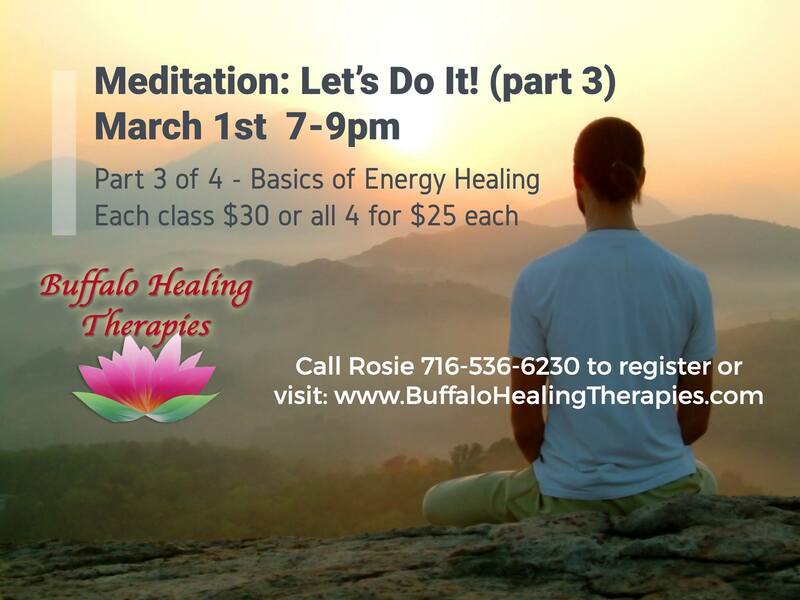 Join Healer, Teacher and Author Roseanne D’Erasmo Script, of Buffalo Healing Therapies for this interactive class. 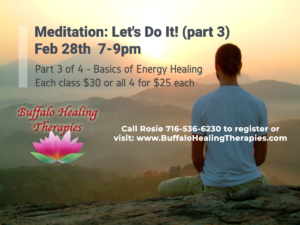 You will learn the basics of relaxation and meditation. Experiment with some beginning techniques that really work! 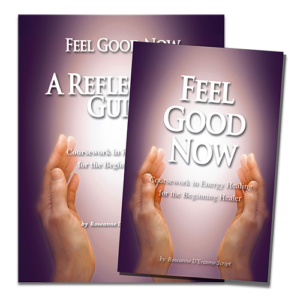 Roseanne’s latest book & reflection guide: ‘Feel Good Now’ provide examples of a Walking, Mountain, Universe and Lake Meditations demonstrating examples of different styles of meditation at an easy level. Determine which feels best to you as you reflect in your insightful guide.